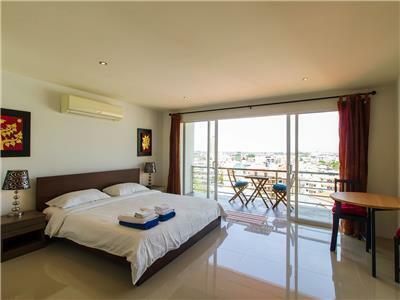 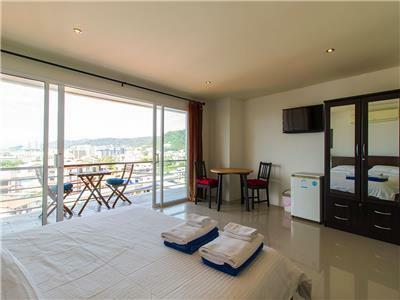 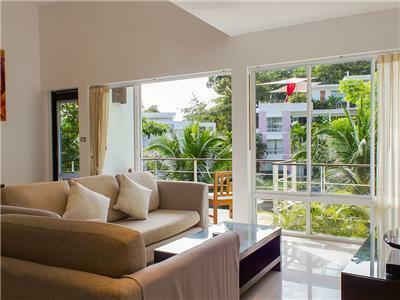 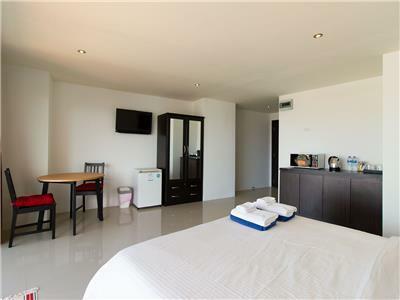 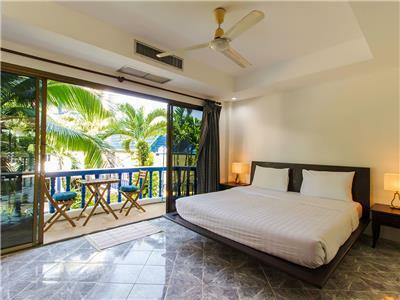 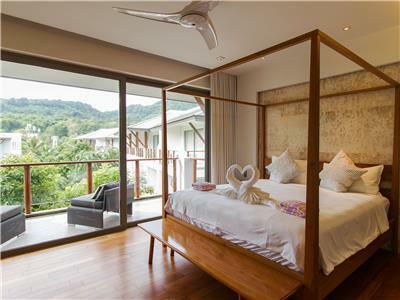 A fully-furnished studio apartment with views of Patong and the Andaman Ocean. 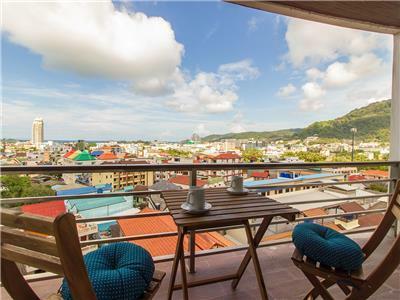 Tucked away on a peaceful hillside of Patong, the apartment is close enough to enjoy all Patong has to offer but still far enough for a peaceful and relaxing stay. 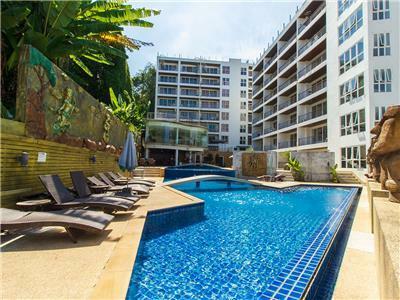 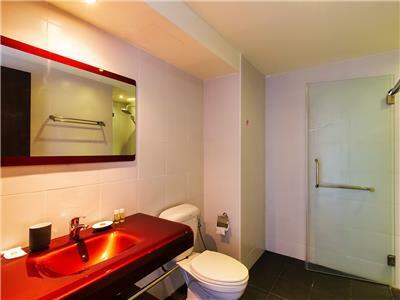 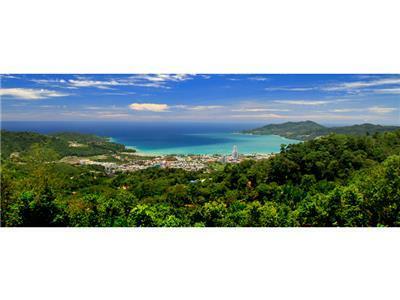 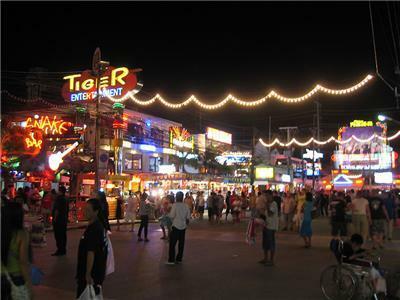 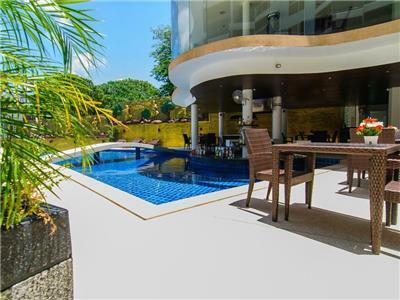 It is approximately 15 minutes (1 km) walk to Patong Beach. 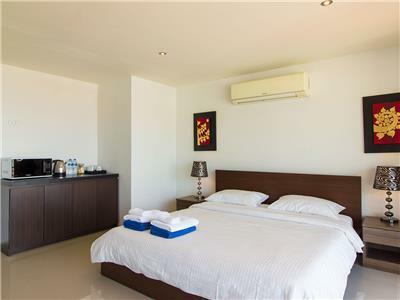 The studio is furnished with a king size bed, dressing table, wardrobe, flat screen TV and balcony furniture with cooking facilities such as a microwave, kettle and fridge. 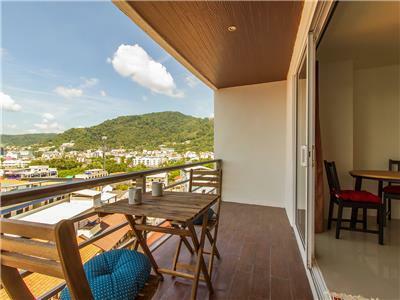 The private balcony which overlooks both Patong and the Sea is the perfect spot for your early morning coffee or relaxing with a sunset cocktail. 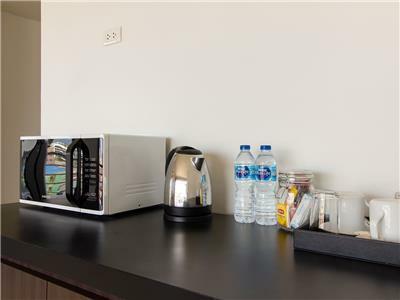 The apartment is equipped with air-conditioning and Wi-Fi. 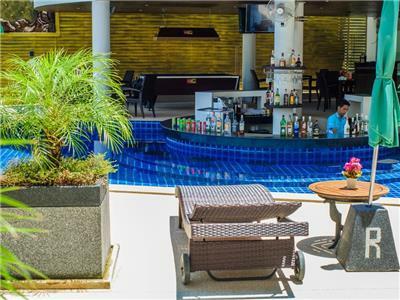 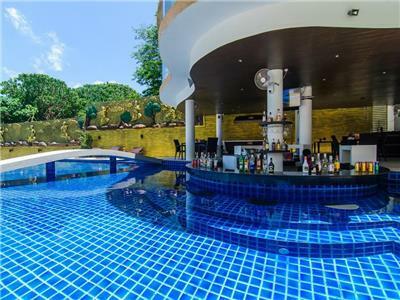 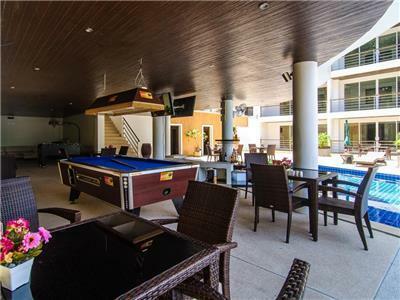 Guests can also enjoy the resort style features, including a swimming pool, sunbeds, fitness center and a shuttle bus service to Patong Beach. 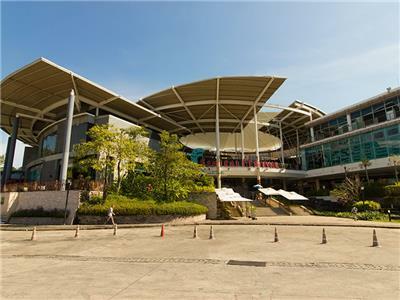 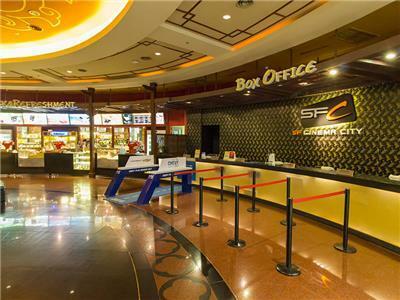 SF Cinema City Jungceylon Patong	 Cinema 899 m.
Jungceylon Shopping Mall	 Shopping 1000 m.
Bangla Road	 Nightlife 1133 m.
Radar Hill Viewpoint	 Tourist Attraction 2.36 km. 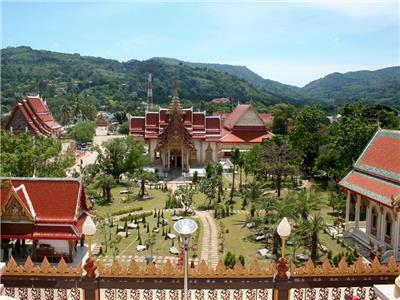 Wat Chalong	 Tourist Attraction 6.32 km. 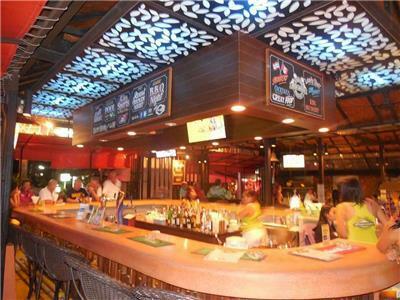 Kamala Beergarden	 Nightlife 6.54 km. 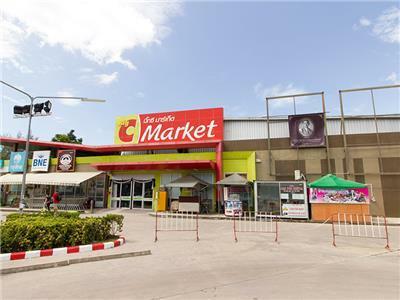 Big C Market Kamala	 Shopping 6.62 km. 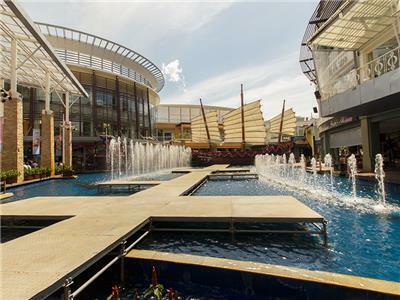 Central Festival	 Shopping 6.65 km. 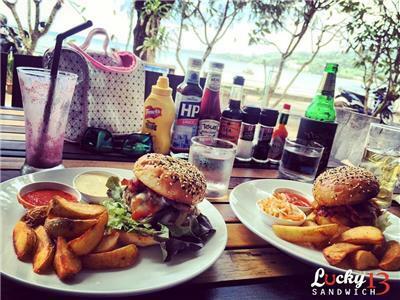 Lucky 13 Sandwich Kamala	 Restaurant 6.88 km. 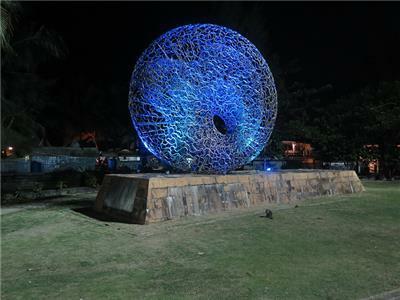 Kamala Tsunami Memorial Park	 Park And Recreation Area 6.91 km.